My friend Rev. Indigo Ronlov is undertaking a project to gather and share stories of people who've been sexually assaulted. 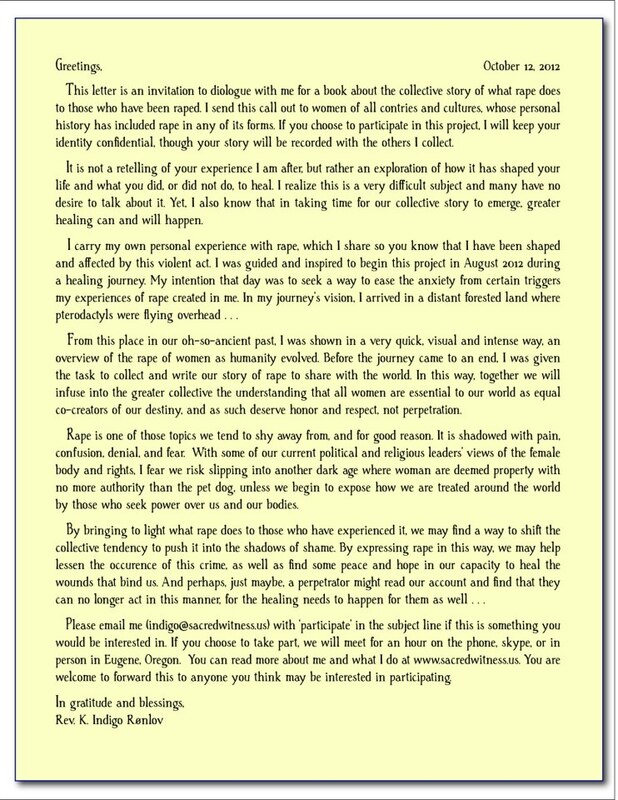 Attached is her letter of request. I'll be participating in the project and if it's the right time for you, I wanted to make the opportunity available to you.